Established in late 2007 by Lead Singer/Front Man "Big John" Davis, Iron Cowboy took Northeast Pennsylvania by storm from it's very first performance in January of 2008. 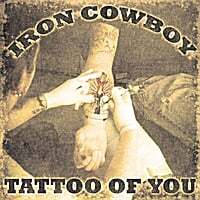 Iron Cowboy quickly gained a reputation as an edgy, high energy Country/Southern Rock party band, and their fan base grew quickly. Having opened shows for the likes of Craig Morgan, Bucky Covington, Gretchen Wilson, Big & Rich, Brad Paisley and others, Iron Cowboy's popularity has continued to grow and expand regionally. In early 2010, the band began writing original material and continued to work on their debut CD "Tattoo of You', releasing it on May 14, 2011 at "ThunderBash", an event hosted by Thunder 102 radio in Sullivan County, NY. Prior to the CD's release, "WWJD" and the CD title cut "Tattoo of You" (both written by Ken & Barry Somerville of RPM Music Group) each spent time on Music Row's Country Breakout Chart. Iron Cowboy has already begun working on material for the next CD, but the heart of the band is in their live performances. Check out the band's schedule at www.ironcowboyband.com. "Tattoo of You" Reviewed by RadioIndy.com! A heart of Country with a soul of Southern Rock.